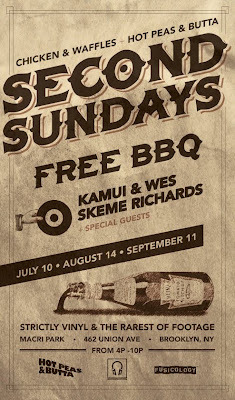 If you are in the New York area get yourself to Macri Park in Brooklyn every second Sunday of the summer months for a free BBQ with KAMUI & WES supplying the sounds alongside SKEME RICHARDS plus guests. Chicken & Waffles plus Hot Peas & Butta equals a funky good time. 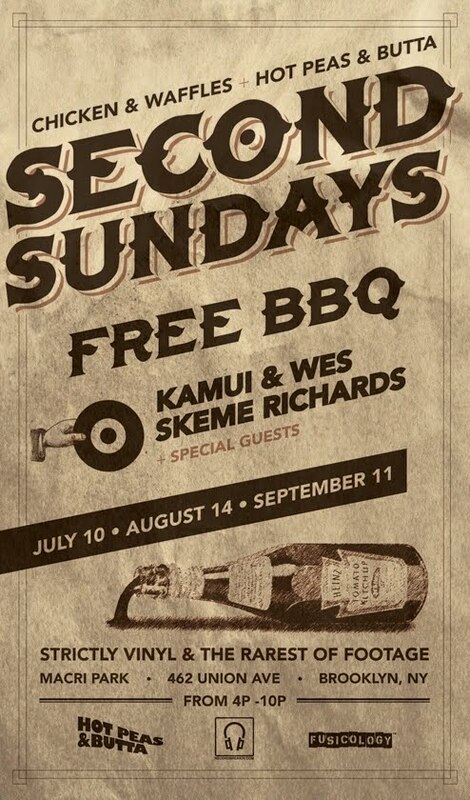 Thank you for the blast out cousin!